Colum Sands Song Lyrics And Guitar Chords. 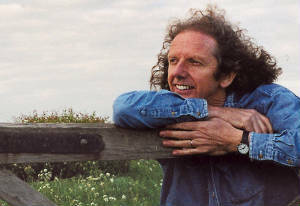 Colum is one of Ireland's finest singer / songwriters and has written about many aspects of Ireland and the Irish, from funny and sad songs to beautiful love songs. Colum comes from County Down Northern Ireland and is part of the famous Sands family. Most of the lyrics and chords are from the album ''The March Ditch'' with ''Ceasefire and Goethe's Song'' from the album ''All My Winding Journeys'' .